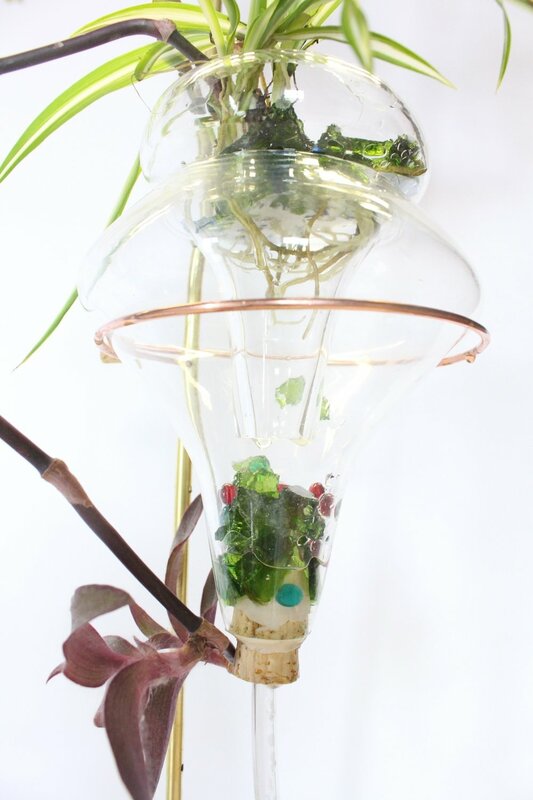 Vertical Home mobile prototype for growing indoor all season. 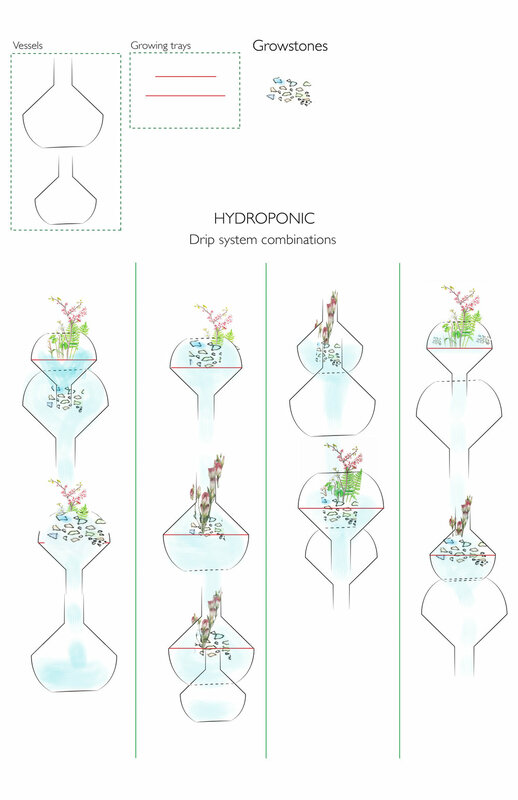 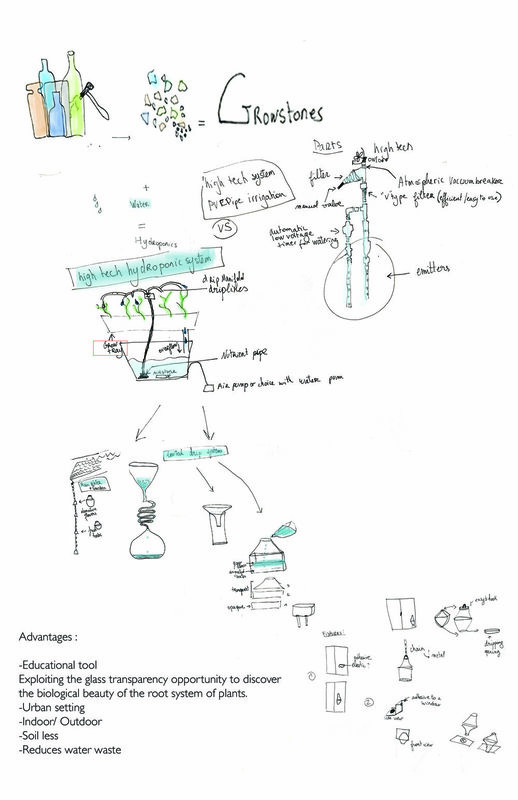 Using gravity for a hydroponic drip system. 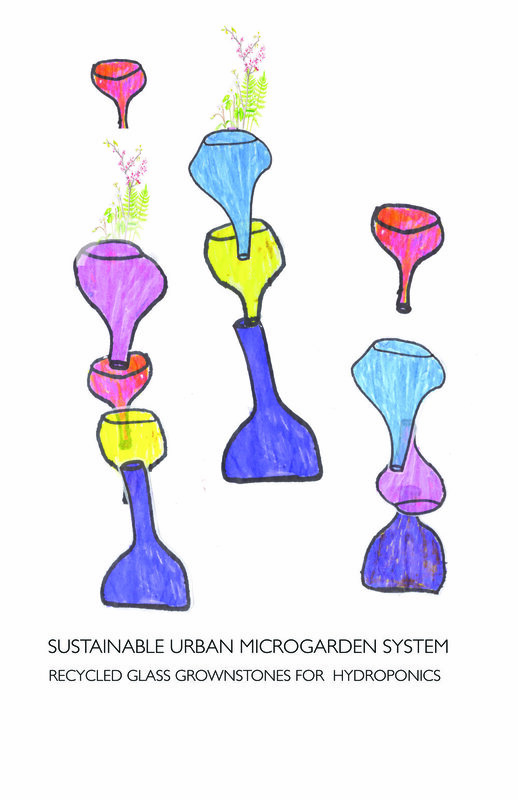 Bottles of recycled glass as a medium and nutrient for growing plants.